Your home is a place of relaxation – it contains almost everything you own and is often seen as a safe environment for you and your family. Just about every room in your home has a potential safety hazard in it – in the form of windows. Windows are a weak point in any home’s defense – they can be broken, pried open, or just opened by a potential thief. They can also have their own set of safety issues directly tied to children. Taking some time to properly safeguard your windows can help you avoid a burglary or an untimely accident. Did you know that over 2 million homes in the United States experience a reported burglary? That is one break-in every 13 seconds. A full third of these home invasions are the result of a crook just merely opening up an unlocked window or door. 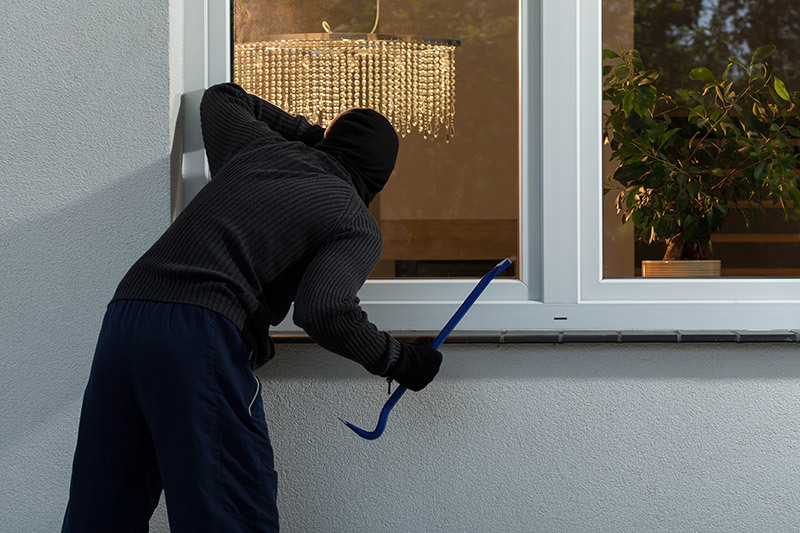 The reason for this is simple – thieves choose homes that are easier to knock off and having an easy to open windows are seen as the easiest ones. The remaining two-thirds are through a direct break in. 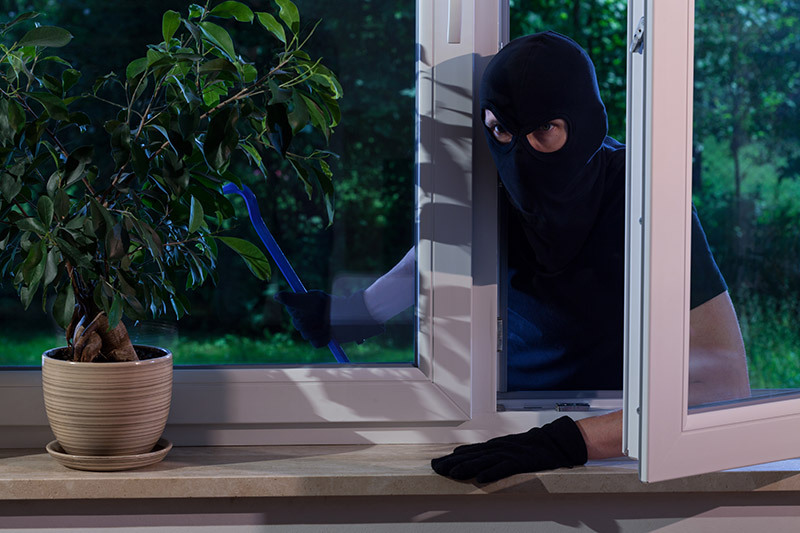 This can be through shattering a window, but burglars often employ more silent tactics through the use of screwdrivers, pliers, pry bars, and a small hammer. It doesn’t matter if you’re a renter or owner either, as either one is just as likely to suffer a break-in. The highest amount of these burglaries happen during the summer months – and during the day too, when everyone is away from home. As imagined, thieves usually go for small and expensive items like jewelry, laptops, guns, and so forth. Some are a little more thrifty and don’t go for any high dollar items, but rather things related to a person’s identity – think along the lines of important paperwork like social security numbers, birth certificates, and important tax documents. Things like security systems, fencing, and following proper window security can greatly mitigate your chances of being broken into. But this isn’t the only issues related to windows – other safety problems can come in the form of children or people falling out of windows. In fact, 5 children each year die from falling out of a window, while another 3,300 are injured. Children can also die from strangulation related to the blind cord. Before you invest in any fancy devices you need to be merely mindful of windows to avoid a disaster. Remember to always keep them closed and locked when away. If children are around, make sure to also keep them locked up, as inquiring minds will quickly drift toward these open areas. To further safeguard these areas try to keep any furniture away from the windows so children don’t climb them and jump out. If you have a double hung window and need to open it for air flow try to just open the upper sash and keep the bottom closed. Think about installing limiting hardware so the window can’t open all the way. There are child safety latches that can be used to limit the opening size by 3 to 5 inches. Also keep an eye out for any dangling cords, as children can wrap them around their neck and choke themselves – if you can, try to invest into cordless window coverings. Never nail down, paint over, or block a window you might need for a fire exit. One of the best things you can do to keep out intruders is to have a good set of window locks. Most windows nowadays come with a basic one already built in, and while these will get the job done there are aftermarket versions that can be added. It might seem a bit redundant to have any locks on your windows considering a motivated enough thief can just break the window. While this is always the possibility this can be a bit noisy, and take a lot of work to do – something thieves typically don’t want to risk. Going over to a door might draw too much attention to them as well. Despite this, not all windows necessarily need locks – such as those on the second or third story. Any window along the first story should have one though, especially those that aren’t protected by a fence. Basement windows should also have some sort of lock on them, as these are often pried open. When it comes to locks there are a few different types – with window latches being the most common. These type of locks are found on top of the bottom window sash and lock the two together. Keyed locks typically attach to the side of the window, and as the name suggest they are locked and unlocked with a key. Always make sure you keep track of the key or you won’t be able to open the window. Child safety latches can double up as a way to stop intruders, while something simple like a drop bar can go inside the bottom of the sliding glass windows. Aside from adding a new lock, there is another way to reinforce your window – and that is the glass itself. When it comes to different types of glass, there are a plethora of options available. Tempered glass is often used because it’s one of the least expensive alternatives and considerably tougher than normal glass. Danger by windows can come from the inside or outside of your home. A window that is not properly secured is more likely to be broken into, or result in the untimely death of a little one. There is a huge range of different locks available, along with all sorts of extra tough glass panes, window bars, and basic alarm systems to scare people away. Before you jump into all of this though remember that it doesn’t matter how much you’ve invested into if you don’t shut and lock those windows in the first place! Feldco makes top quality windows with security locks and latches that are guaranteed to keep your home safe and secure. Enjoy the beauty and energy efficiency with Feldco windows that are made to last for a long time. Get a free quote and speak to a product specialist today!